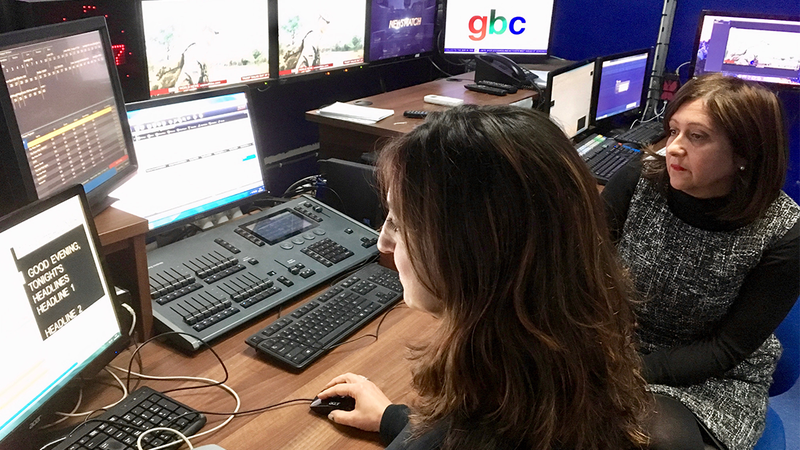 The independent and public broadcasting corporation Gibraltar Broadcasting Corporation (GBC), has partnered with VSN to update all its news production systems and make a full transition to a modern and digitized newsroom. Thanks to VSN’s technology and solutions, GBC will be able to leave behind the manual workflows. At the very core of the current GBC programme, VSN upgraded GBC’s Media Asset Management solution (VSNExplorer MAM) and developed clever integration with other workflow partners, implementing this work effort by adopting an incremental roll out plan that releases more and more functionality to the wider GBC user community with a safe and confidence building approach. Michael Corcoran, GBC’s Chief Engineering and Technology Officer says: “At a time of unprecedented change in the broadcast industry, GBC needed time to restructure key staffing positions, before moving forward with the next stage in newsroom and production workflow modernization. Now with a much more focused approach, GBC can now look forward to progressing along the agreed roadmap, aiming to conclude on this programme well ahead of the relocation of the entire Corporation to our new premises by mid 2020. Our roadmap is extensive, looking at storage modelling, NLE media management, a change in the newsroom NLE, a migration to better network authentication strategies, more and more MAM integration and finally modern efficient workflows for studio and gallery productions with VSNLivecom product. GBC looks forward to working with the VSN team and assisting us to deliver a successful roadmap programme”. One of the specific partner-adopted solutions offering a significant level of MAM integration was the Ross INCEPTION NRCS solution, which GBC recently implemented to replace older scripting methods and guarantee an agile and safe workflow in the news and production processes. Within INCEPTION, GBC uses the MOS protocol to seamlessly integrate the Autoscript prompting system and look forward to increasingly more desktop integration using the VSNExplorer plugin for NRCS tool that will launch a HTML5 editor, opening the door for extensive, additional editing workflows and the creation and broadcast of graphics on the Ross Xpression system. The VSNLivecom studio playout will allow GBC to control 8 channels of their two video DVS Venice servers from Rohde & Schwarz (installed in a redundant configuration) and trigger graphics to air from within the gallery. One of the early roadmap successes after an extensive MAM upgrade has been the robust integration of VSNExplorer with GBC’s Sony ODA Peta Site library. Likewise, GBC workstations operate on macOS operating systems and use editing tools such as Final Cut Pro X, where VSN’s systems function reliably within this demanding environment. “One of the great challenges of the project has been precisely working in a 100% Apple environment, adapting to the existing devices and resources in the installation, as well as helping users to change the work methodology inherited from the past towards a fully digitized system, adapted to the needs of the future of the Corporation, integrating both TV, radio and social media platforms and the Internet.” says VSN’s Product Manager, Toni Vilalta. Gibraltar Broadcasting Corporation was formed in 1963 as a result of the merger of the private network “Gibraltar television” and the public radio owned by the Government, “Radio Gibraltar”. Since mid-2015, GBC has being moving forward towards an increasingly automated news production environment. Nowadays, thanks to VSN’s End-to-End solution, GBC’s professionals have enough tools to increase their daily productivity and efficiency, as well as more time to focus on the creation of quality content that allows them to continue meeting and exceeding the expectations of their audience.